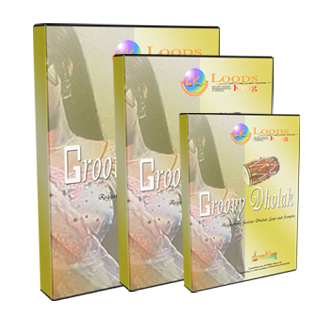 LoopsKing’s Groovy Dholak Loops and Samples was Made from the major South Asian Percussion instrument “Dholak”. All Major Taals (Rhythms styles) are included: This is also focused on Hip Hop and Reggaetonic music to match western Sound loops and Styles. Tools, Swar Systems virtual instruments, Prophellerhead Reason, Prophellerhead Recycle and Ableton Live. AVAILABLE FOR IMMEDIATE DOWNLOAD: LoopsKing’s Groovy Dholak is now in the LoopsKing.com Download Shop, in WAV, ACID , REX2/RMX format (Note: the download version includes all the samples and loops with Wav and REX format). Loopsking’s Groovy Dholak Loops and Samples mp3 files as well as the free rex2 files are for presentation only, and cannot be used for any other purpose. Any use or redistribution of these files and samples is strictly prohibited. Register/Subscribe with us to try 05 free REX2 (.rx2) files from the “LoopsKing’s Groovy Dholak” SAMPLE LIBRARY.We are sure that on checking these, you will immediately place an order with our online Download.